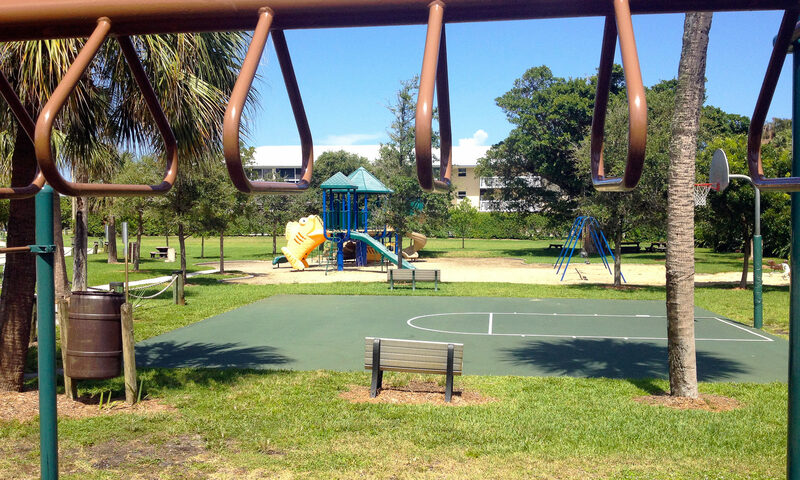 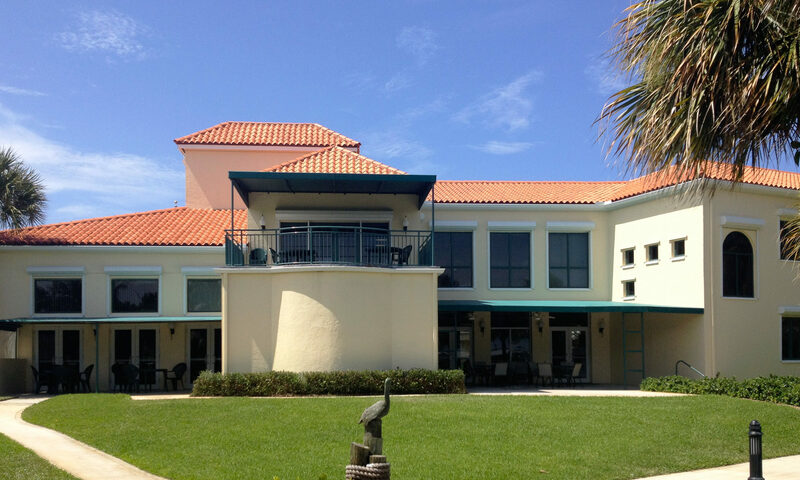 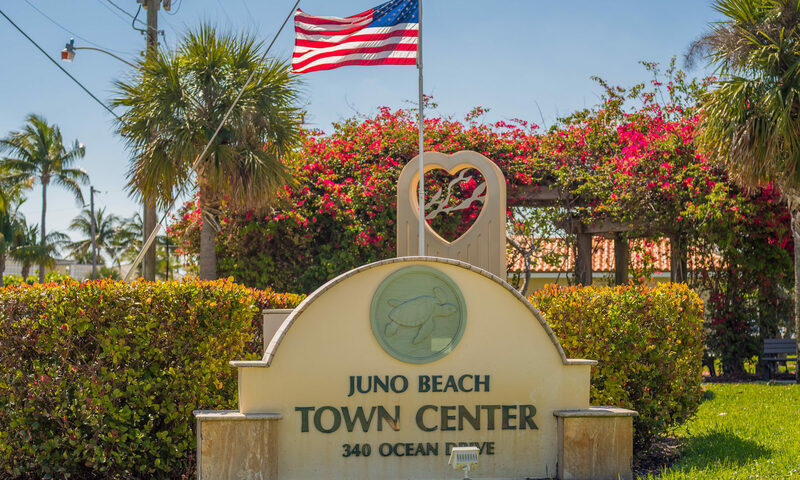 One of the largest complexes in the Juno Beach area is the Ocean Trace community. 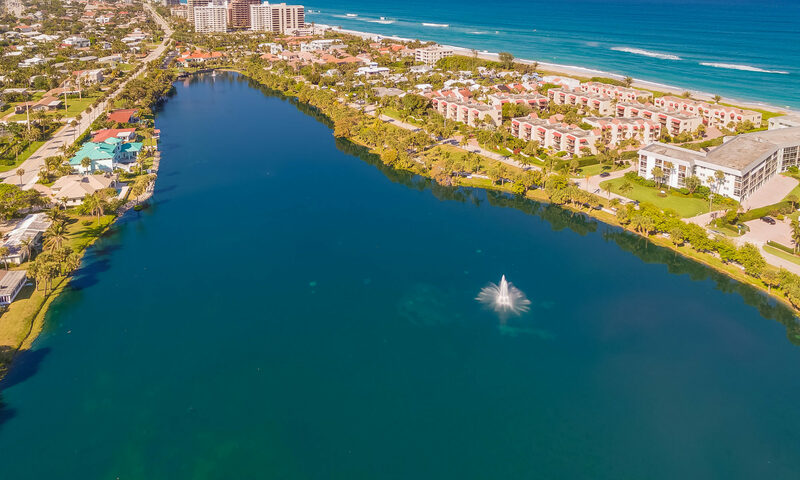 Here, 296 condos of all sizes represent a great chance for you to find just the right spot, and while not exactly on the ocean, they are close enough so you can be there in a 2-minute drive. 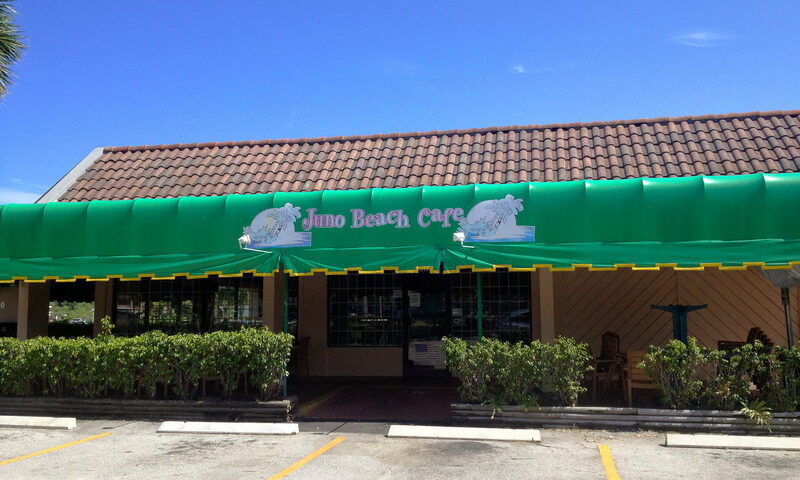 Since they are not located directly on the beach, these units are far more affordable. 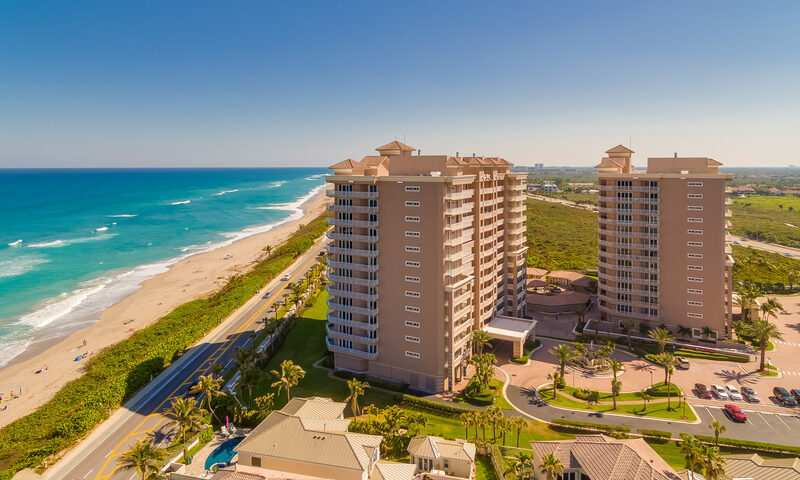 The condos in Ocean Trace start as one bedroom, one bath units with fewer than 1,000 square feet of living space and range all the way to two bedroom, two bath units of around 1,600 feet. 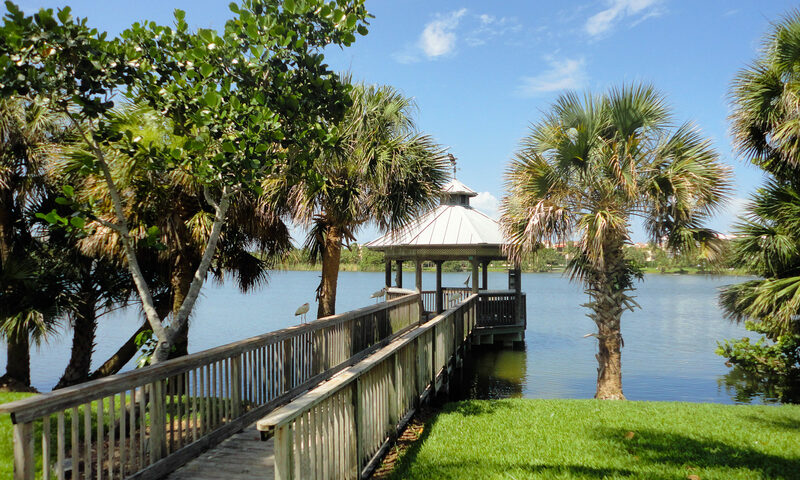 This large but spacious community is built around a central lake with spectacular fountain, so you have lake views from nearly every unit. 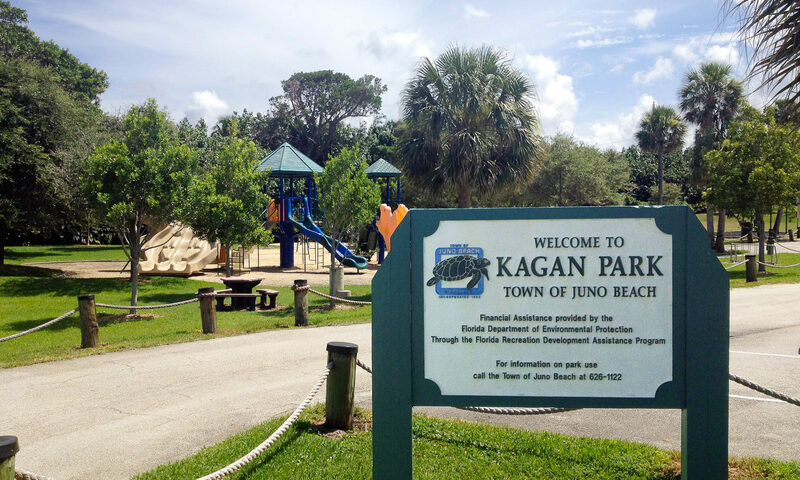 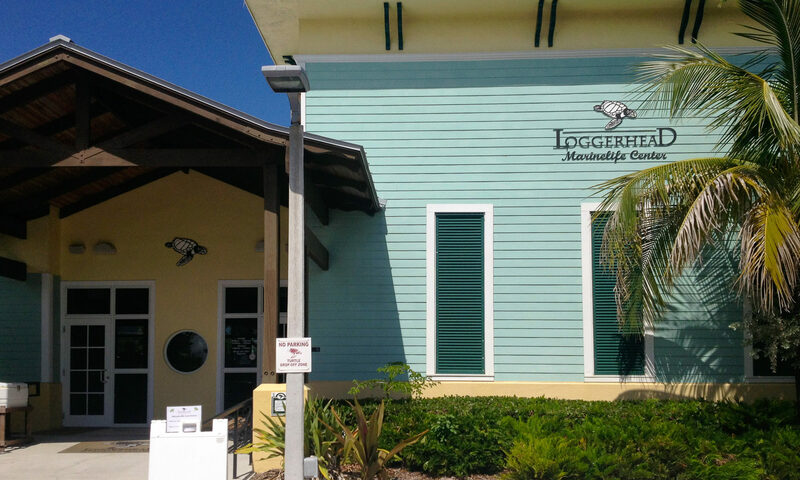 The location is also a central element since it is close to one of the largest employers in Juno Beach, the FPL Group. 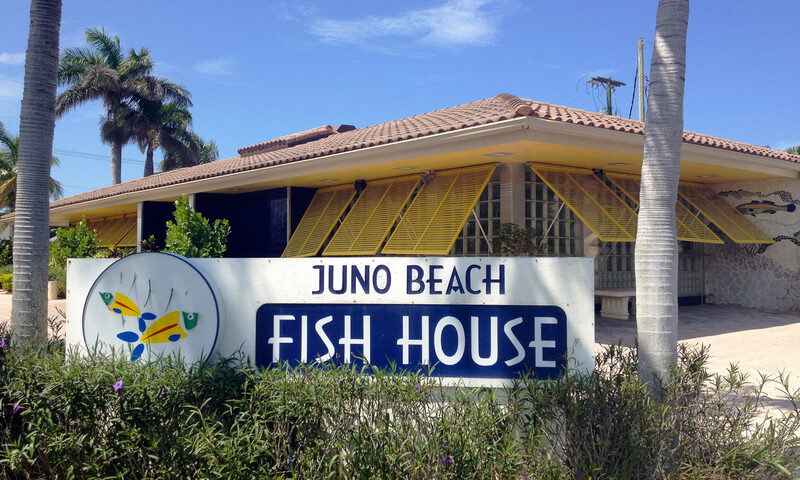 Juno Beach is famous as a seaside town and here you will find beach lovers of all ages, since there is something for everyone. 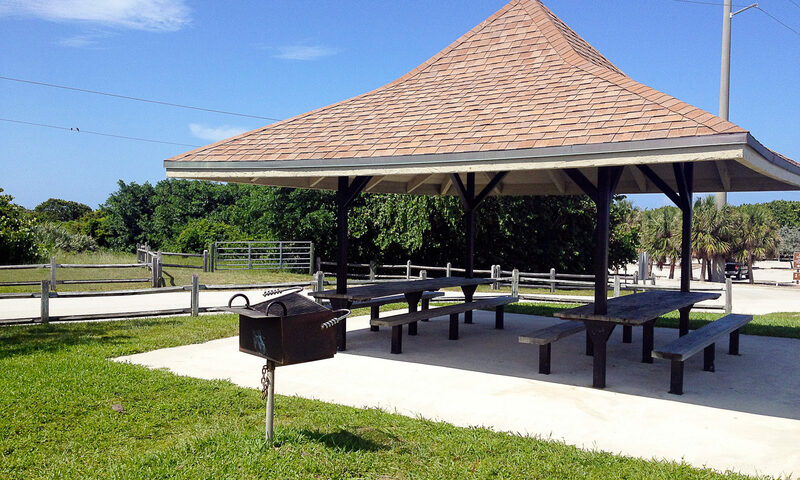 Walkers and cyclists will enjoy the miles of uncongested road along the ocean called Beach Road. 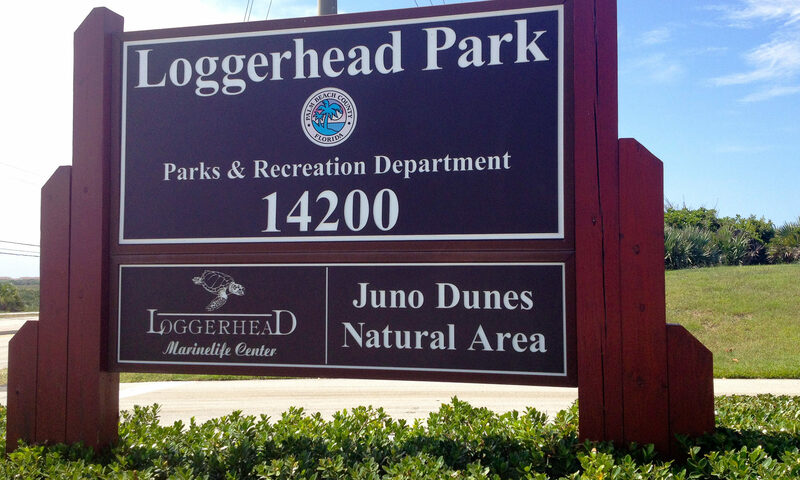 You can walk or ride north to Jupiter and the Inlet if you like. 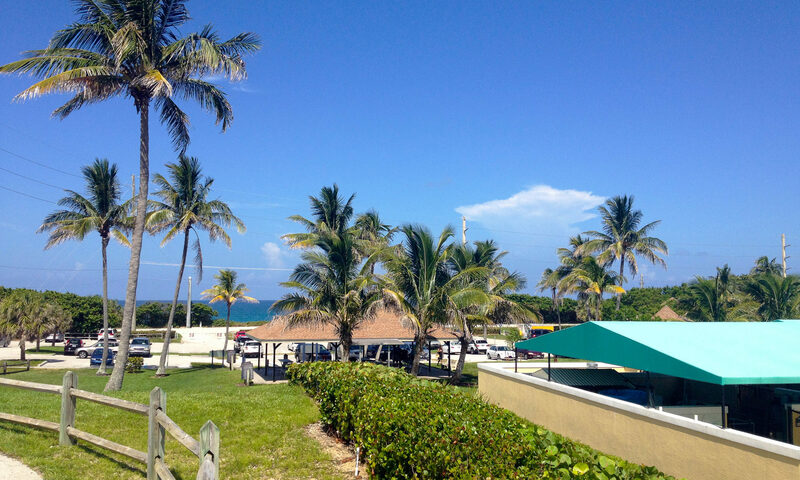 Surfers and kite boarders will enjoy the gusty ocean breeze that sweeps in daily from the southeast and makes their respective sports great! 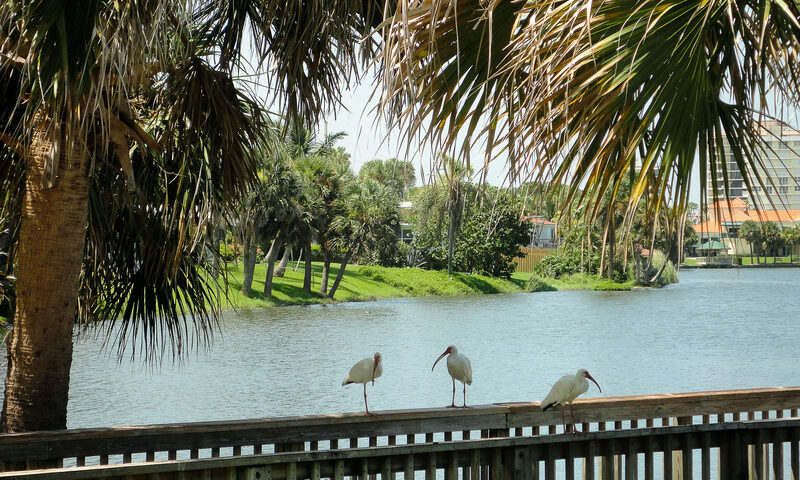 As for fisherman, those fishing from shore may try their hand at landing a large snook or pompano right onto the beach sand. 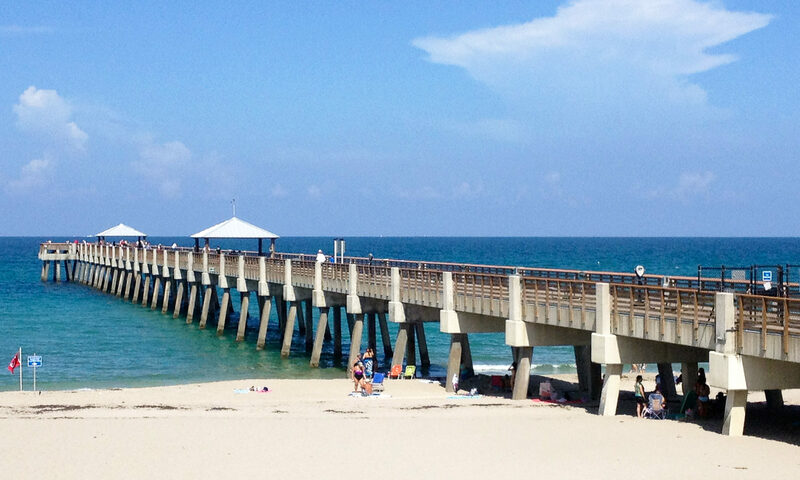 Those needing more sport can venture out onto the Juno Beach Pier where the extra ¼-mile extension into the ocean can help you catch migrating cobia, mackerel or bluefish. 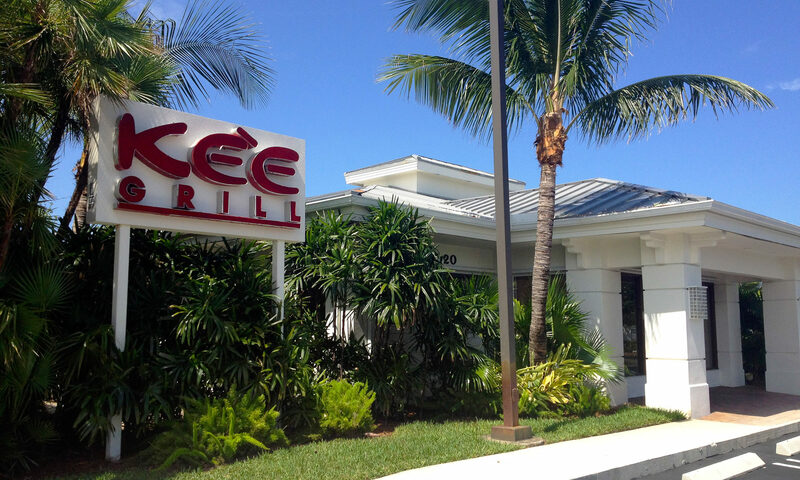 Looking for great dining? 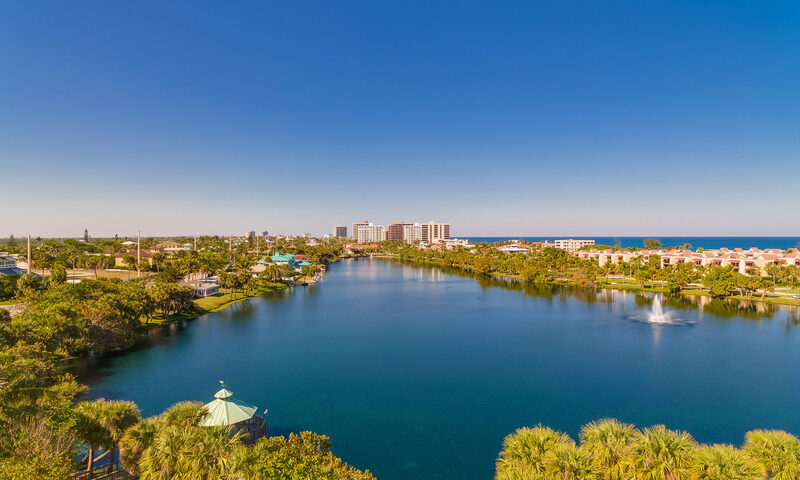 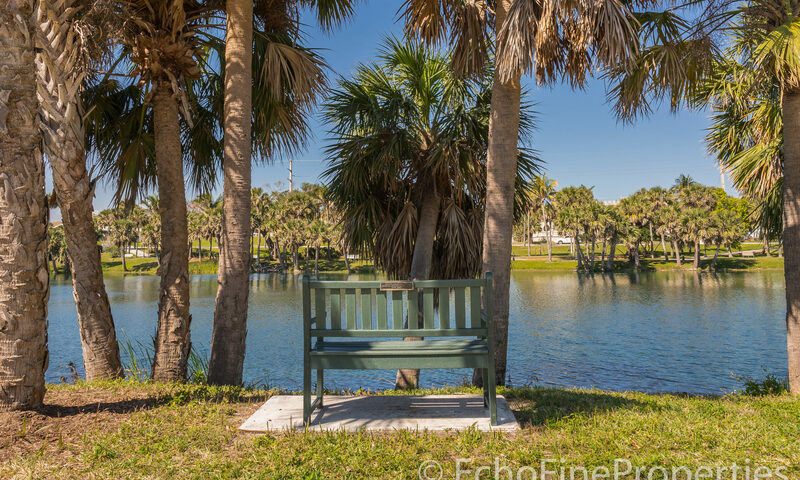 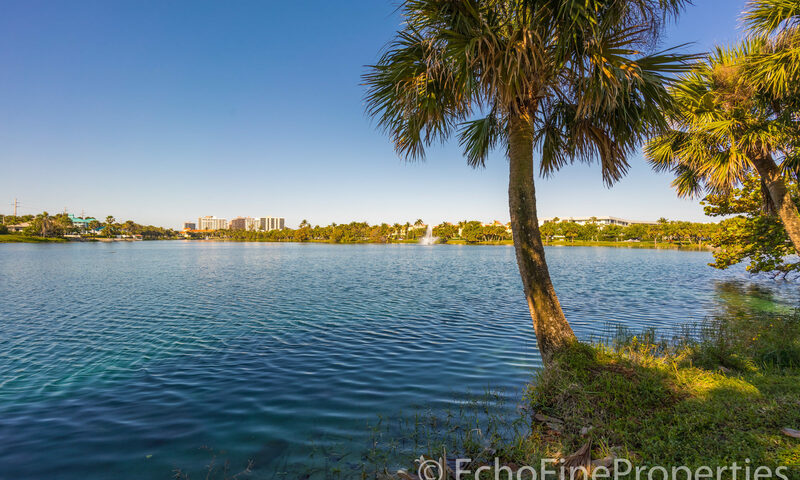 You can find waterfront dining on the Jupiter Inlet across from the 150-year-old Jupiter Lighthouse or along the Intracoastal Waterway in Palm Beach Gardens. 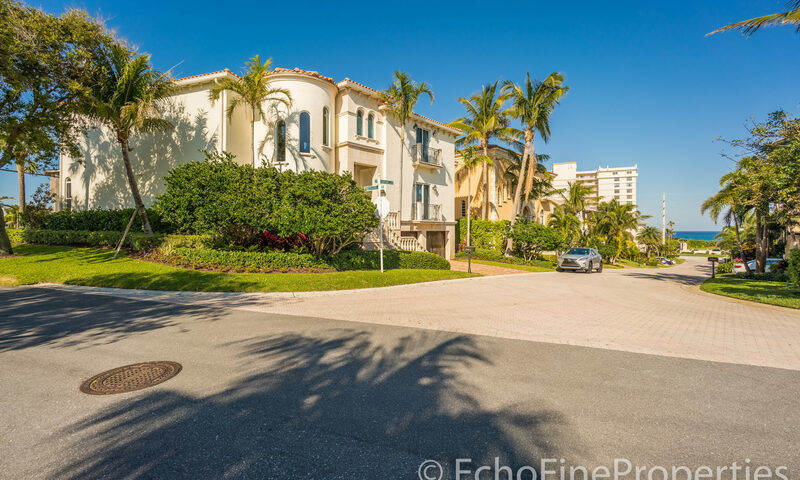 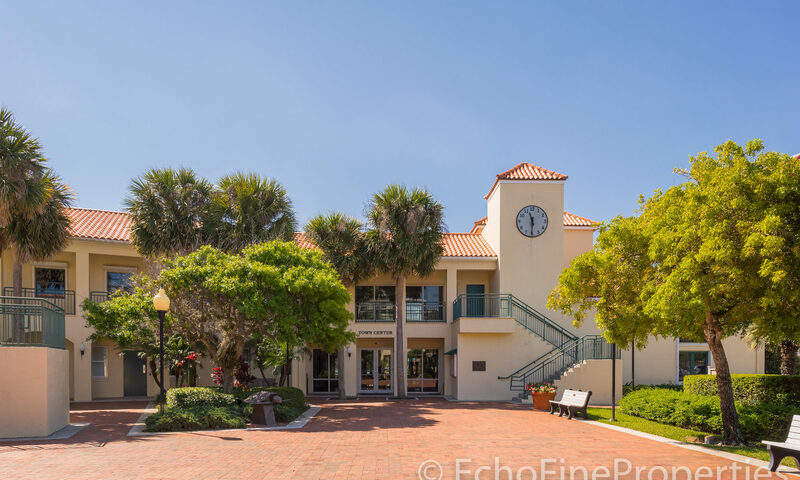 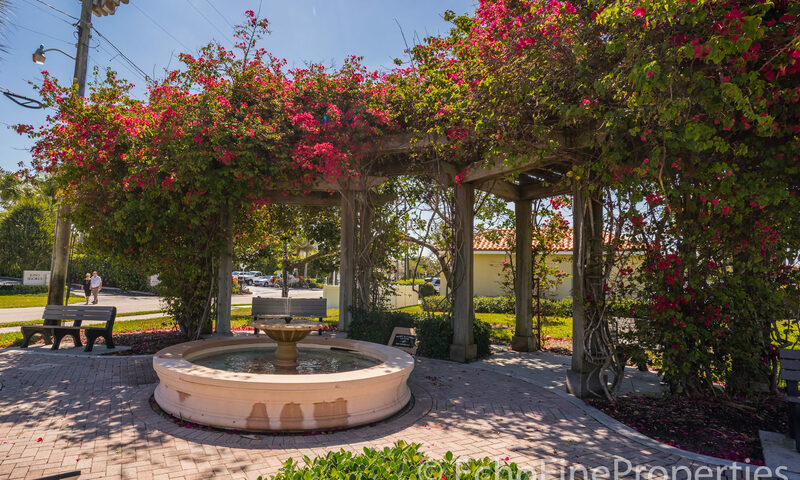 These Juno Beach Condos could be your new home! 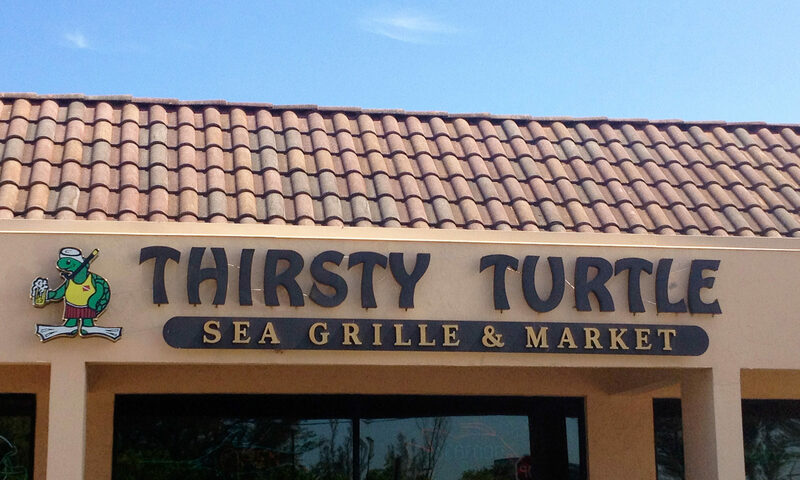 Please let us know how we can help. 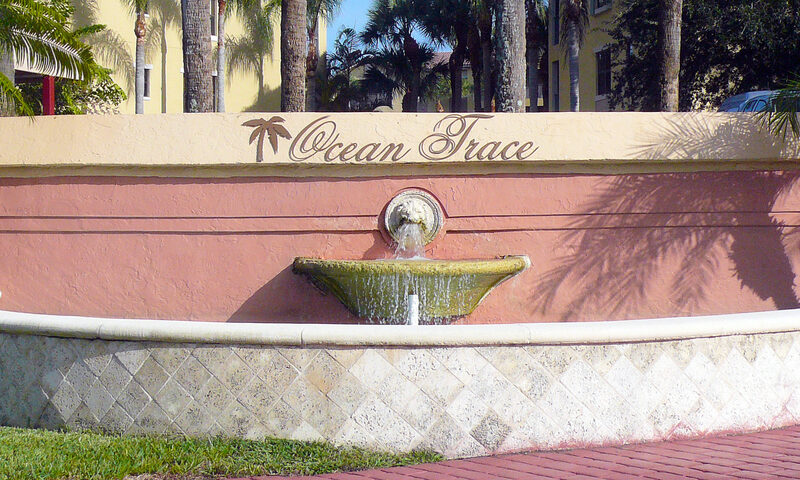 I am interested in learning more about Ocean Trace homes.